Air traffic is becoming highly effective and efficient using state-of-the-art technology. ICAO, in close collaboration with the air transport community, is constantly striving to further improve safety performance of aviation while achieving a high level of efficiency. It strives to implement practical and achievable measures to improve safety and efficiency of the air transportation system. ICAO has taken few important initiatives such as Runway Safety, PBN (Performance Based Navigation) and ASBU (Aviation System Block Upgrades)towards achieving the safety objective. All the member states of ICAO will have to comply with these regulations in a phased and planned manner. ASBU initiatives will deliver its intended result only if reliable technology roadmaps are developed, validated and implemented in a planned manner. As well, all stakeholders involved in the worldwide ATM modernization should align their activities and planning to the respective Block upgrades. 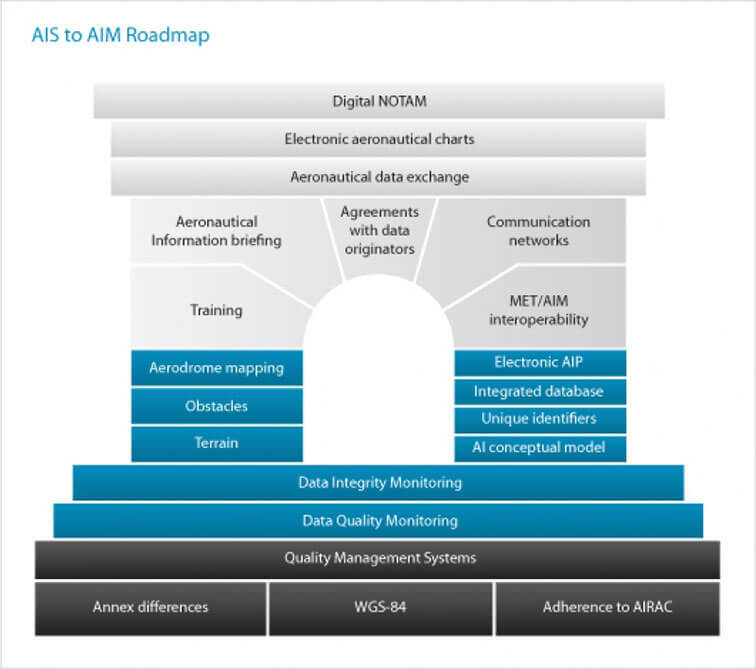 ADL has a unique set of resources having global experience right from framing these standards to putting up the ICAO compliant systems in place. ADL leverages its rich resources to support States to address the challenges faced during implementation of these ICAO initiatives. There are many challenges during the implementation of new technologies or systems. We at ADL believe in working as a team with our clients to overcome these challenges and support our clients during this transformation till the systems are self reliant.